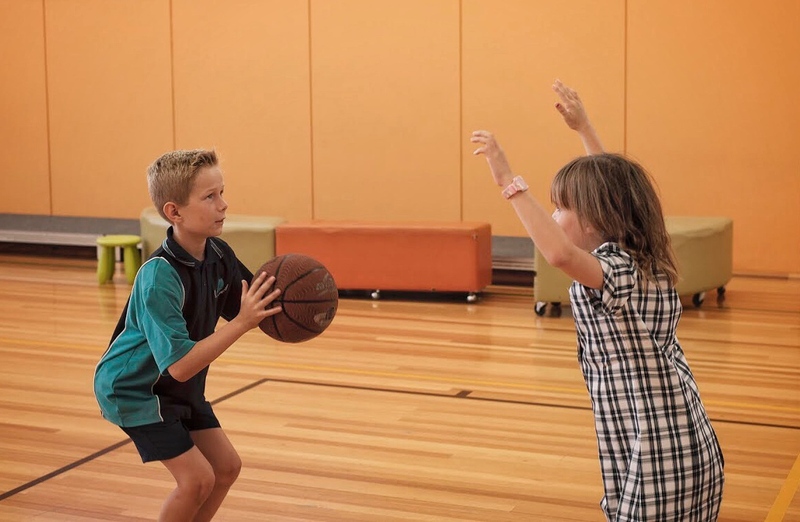 Victoria Road Primary School offers a comprehensive, high quality Physical Education/Sport program, with an emphasis on catering for ALL children. The program is coordinated by Mr Scott Clarke, who is a full time member of staff. Scott also leads the Mooroolbark District Sports Group, of which Victoria Road is a part of. The Physical Education/Sport program is designed to prepare children for a healthy and active lifestyle through the development of skills, knowledge, teamwork and positive attitudes. The children are provided with a wide range of sporting experiences focusing on the sequential development of fundamental motor and locomotion skills, fitness and sport education. The school values are heavily promoted within the sporting environment, with an emphasis on the children encouraging and cooperating with each other, having fun, playing safely and sensibly, respecting each other and the equipment and always trying their best. Weekly timetabled Physical Education classes with the Specialist Phys Ed Teacher, from Foundation to Year 6. Additional weekly Sport Programs, from Foundation to Year 6. A wonderful indoor sports stadium, with a huge range of sports equipment. Strong partnerships with community groups and sporting associations, including the Yarra Ranges Athletics Club, Lilydale Tennis Club, S.E.B.C Saints Basketball Club, Mt Lilydale Lakers Basketball Club, Lilydale High School, Melbourne Storm Rugby League Club and the Mooroolbark District Sports Group. A yearly intensive swimming program at the Croydon Aqua Hub, is offered to all students. Professional looking sports uniforms for Interschool Competitions, which promotes school spirit. A strong school focus on Health, particularly healthy eating. A major emphasis on sportsmanship and fair play. Victoria Road is renowned this within the Mooroolbark District Sports Group.